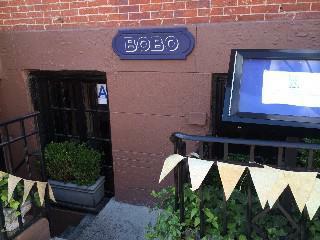 Bobo focuses on seasonal and local foods. The local ingredients comes from their own farm the Brooklyn Grange, in Queens, New York. The restaurant has sustainable decor with chairs and tables made from recycled materials.